After designing the custom suits, and choosing my typography, it is time to start designing the cards themselves. I think that the back of the cards is the most important feature, as it is repeated 54 times (including jokers) compared to each face, which is only seen once. I decided to go for a very minimalist aesthetic for the deck, and I want the information to shine through without other distractions. 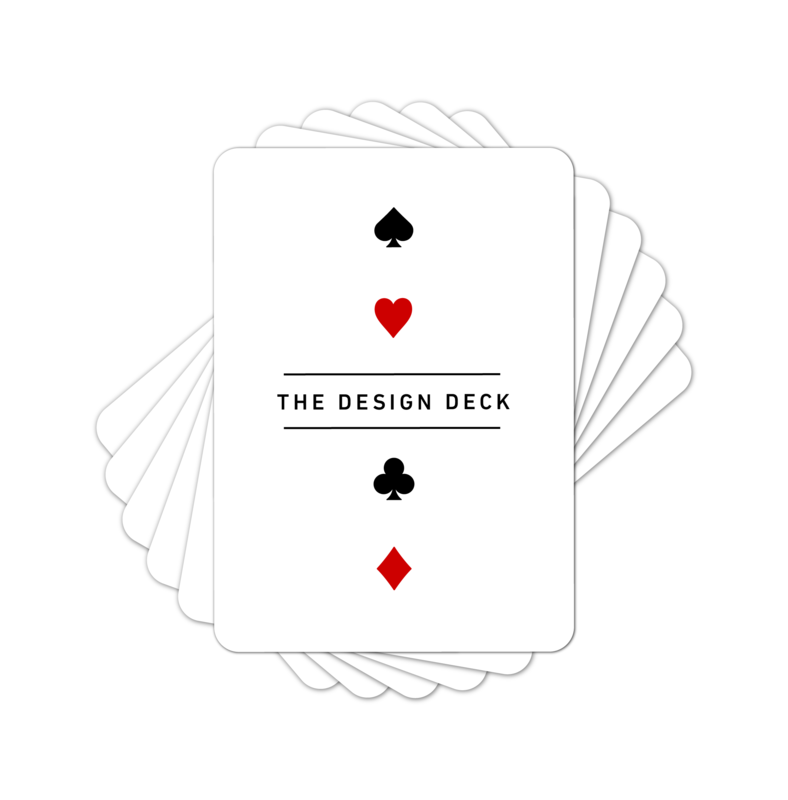 Below is the back of The Design Deck. It has the name, the suits, and two containing lines, and nothing else. 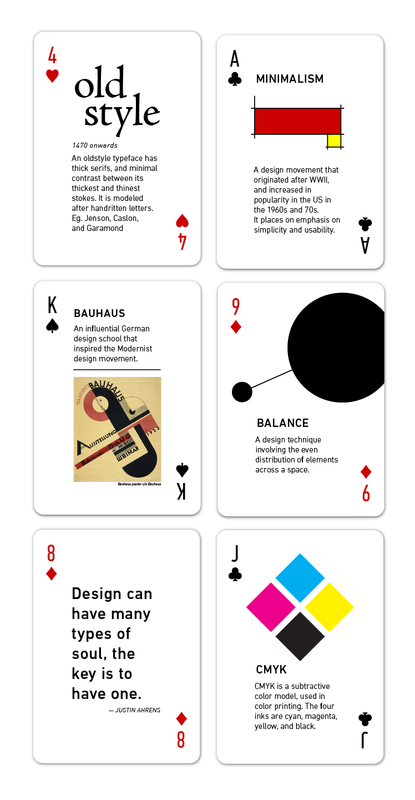 I also designed 6 of the card faces, to establish the visual language that will be reflected throughout the deck. You can see below that I used the condensed version of DIN font, with my custom suits. I’ve left lots of white space around the edges, to make the cards simple and to clearly show the information shown on each one.